“Care” pulls back the curtain on the poignant and largely hidden world of in-home elder care. 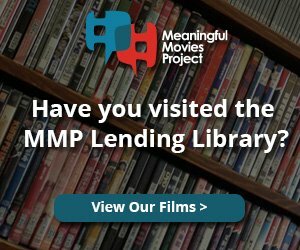 Beautifully shot and deeply moving, the film reveals the deep bonds that form between paid care workers and elders while exposing the cracks in the U.S. care system. 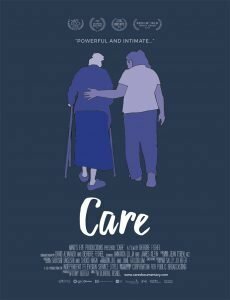 “Care” delves deep into the world of home elder care through the eyes of both paid caregivers and their elderly clients. The film reveals that despite long days taking care of others, care workers often struggle to feed their own families. Laurie can’t pay her rent, Vilma can’t process her green card, and Delores winds up in a women’s shelter. On the flip side, middle class Toni and Peter are going broke paying for the 24/7 care that Peter needs. Through these personal stories, “Care” reveals the deep humanity and poignancy of care work, as well as the challenges faced by elders, their families and their care workers. It also reveals the beginning of a movement to improve how we care—both for the growing number of older adults and for those who make their lives livable. At a moment of great division in our country, “Care” highlights an issue that affects us all – urban and rural, immigrant and native born, red state and blue. Providing quality care for an aging population will require reimagining how we value and compensate care workers and how we support families who need their services. “Care” raises critical questions to invite dialogue and engagement—before we hit a care crisis. Members of PSARA will lead the discussion afterwards.